Companies are seeking to create a customer-focused omnichannel experience within existing operations and this requires looking at operations from the customer’s perspective. While less complicated for young, nimble companies, this view is more difficult to achieve for well-established companies with legacy systems. However, the goal is important and can be a driving force of your company’s brand. One main obstacle to creating a customer-focused omnichannel experience is that established companies have organizations and systems created, installed and used in silos. Organizations can be functionally good at what they do and yet not be aware of how their work affects another department—much less the customer experience. While some may advocate for getting rid of silos, breaking them apart is not the answer. Organizational departments were created for specific, valid reasons and have subject matter experts who are trusted assets to a company’s operations. Instead, companies must find a way for these operational groups to see their work from the customer’s perspective by bringing them together to focus on the customer experience. For example, let’s say your organization manages credit card replacement services. To prioritize your operations from the customer’s point of view, you should examine the replacement process by looking at the entirety of the process rather than examining each function separately, such as security, fulfillment, and customer service. A good starting place is to examine feedback that comes into the customer service department because this often includes complaints about processes or corporate requirements. Then you should determine what operational changes should be made—regardless of organizational structure and existing processes. While companies may focus on newer parts of the omnichannel experience, the call center remains a valuable tool in gathering customer information. Previously, the call center handled all customer issues – both big and small. Today’s center is where people call after they have exhausted all other options to resolve their issue. By tracking issues that are critical enough to warrant a phone call, email or chat, companies have a direct line to understanding some of their most impactful mistakes. The call center also can be used proactively to gather specific information from your customers. By routing selected contacts to specially trained agents, using speech analytics, or through manually monitoring, your product development, sales and marketing teams can glean valuable information from the customer’s perspective. This data could help these teams make better decisions regarding new products, promotions and services. To create a satisfying customer experience, change how departments are measured. Implementing joint sales or customer service goals ensures that each group is collectively focused on the customer experience. For example, let’s say your organization manages customer service for a telecom provider. You have learned that technicians are spending an extra 30 minutes per household because they do not have the right equipment on their truck. Since the dispatch organization manages inventory, that group should also be measured on the efficiency and customer satisfaction of service calls. Otherwise, the dispatch team has no incentive to change their inventory policies even though those changes could benefit the customer. In comparison, when departments are measured based on the customer experience, groups are compelled to come together to collectively and individually succeed. Using our same telecom company example, now let’s say your organization is the marketing department. You want to conduct a promotion for a geographic region that includes mailing a flyer with a discounted price offer. Prior to executing this campaign, your marketing group meets with the call center team to discuss this promotion. You learn that previous promotions increased incoming call volume so greatly the call center could not adequately respond, resulting in abandoned calls and lost revenue—for both organizations. Together you decide to stagger the mailing so the call center can successfully manage the projected increase in call volume. Companies often claim they cannot hold a single organization accountable for results since the customer may use numerous channels during their interaction. While this true, it does not reflect how your customer sees you. Each channel within your omnichannel environment is all the same company to the customer; therefore, all channels must be measured based on that experience. Making the transition from a siloed organization to a collective entity focused on the customer experience requires intentional change. Dedication to the customer can disrupt everything from simple daily routines to corporate power structures. Executive leadership must direct this change for the mandate to succeed. And this change must happen. How your customers feel about your company will determine if they stay with you or leave you for a competitor. How Can Banks Be Truly Omnichannel? Kathleen Jezierski is the Chief Operating Officer of COPC Inc., and is responsible for running a multi-national, global operation providing consulting, training and certification services. She is also a COPC certified auditor and leads the COPC Vendor Management Organization (VMO) practice area. Kathleen began her career at COPC Inc. in 2001, as an integral member of COPC Inc.’s auditing and training team. She was instrumental in developing the COPC VMO program, which provides key performance metrics used by major purchasing teams to improve vendor selection and management for outsourced customer contact operations. 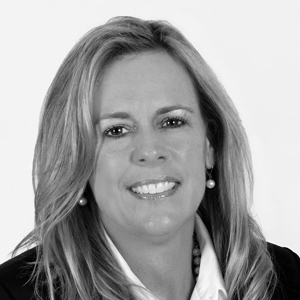 For more than 15 years, Kathleen has developed her expertise in customer contact operations, specializing in the telecommunications industry where she has a proven track record of improved performance tied directly to maximizing ROI.